Friday, 22 March 2019 - 11:36 am. 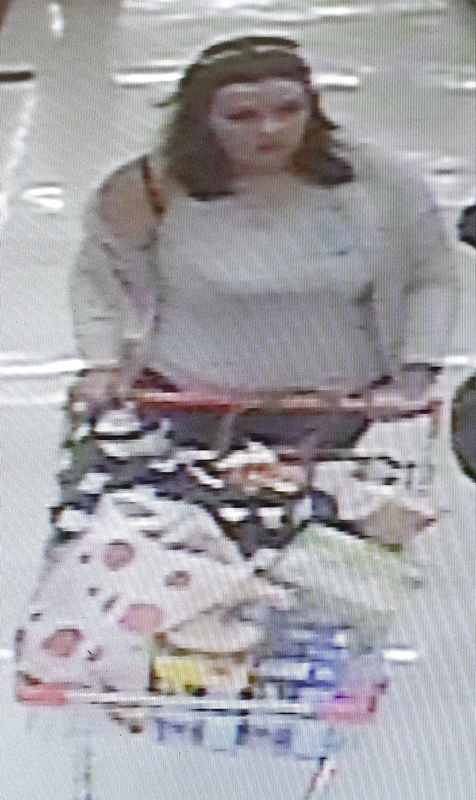 Police would like to speak to the pictured woman in relation to a stealing matter in Ulverstone. Anyone who can assist police to identify the woman is asked to contact Tasmania Police on 131 444 or Crime Stoppers anonymously on 1800 333 000 – quote reference number 609481. This page -- https://www.police.tas.gov.au/news/western-crime-stoppers-assistance-required-22-march-2019/ -- was last published on March 22, 2019 by the Department of Police, Fire and Emergency Management.